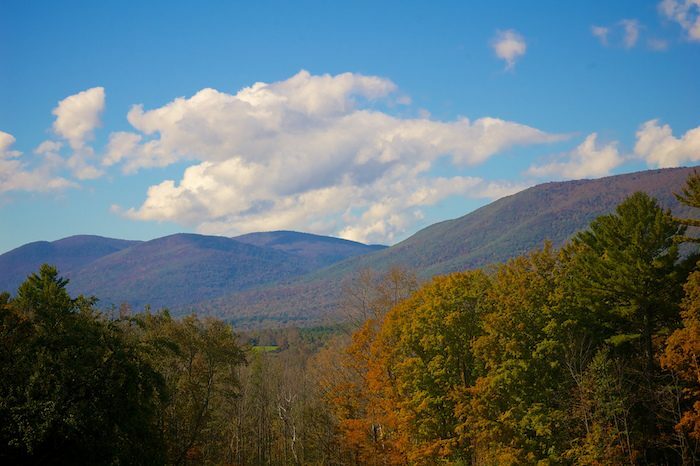 You don’t need to travel far into Vermont to find a primo spot for foliage viewing. The Equinox Preservation Trust, accessible from just outside of Manchester, has 914 acres of woodlands with excellent running and foliage viewing conditions. There are plenty of trails to choose from, but for the best colorful vistas, we love the Blue Summit Trail, which winds to the top of Equinox Mountain. You’ll be rewarded with views of the Green Mountains shrouded in foliage, you’ll get a killer workout with 2,840 feet of leg sculpting elevation change. Visit the Equinox Preservation Trust website for more information.